Before any digging starts, B. Rocke Landscaping always has any local underground utilities located and marked. Even with this precaution, as well as performing a pre-project site walkthrough, we sometimes come across surprises during excavation. Tree stump the size of a small car. 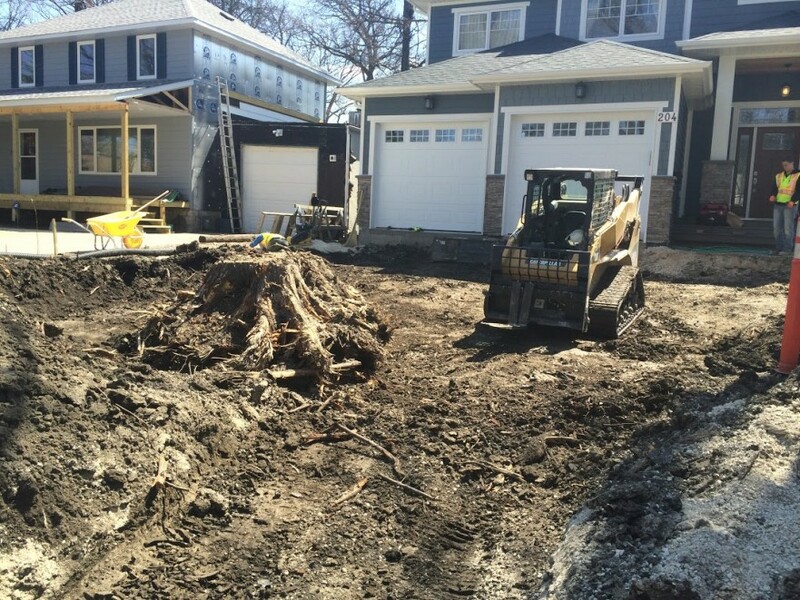 Our estimates are all inclusive, and include excavating 6-8 inches in normal soil. Although we do our best to ensure our estimates are accurate, unfortunately we sometimes come across things that add unexpected costs. 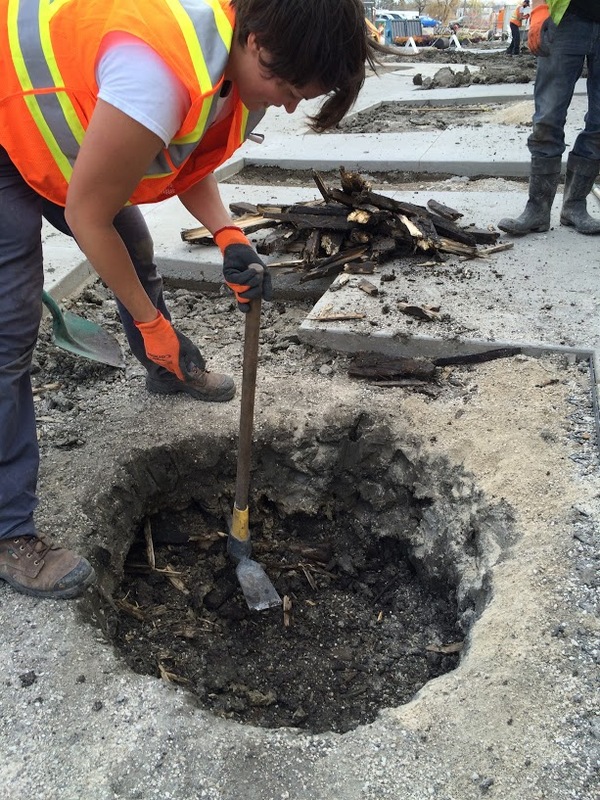 We found quite a bit of old lumber when digging this tree hole. It took three times longer than expected to complete. 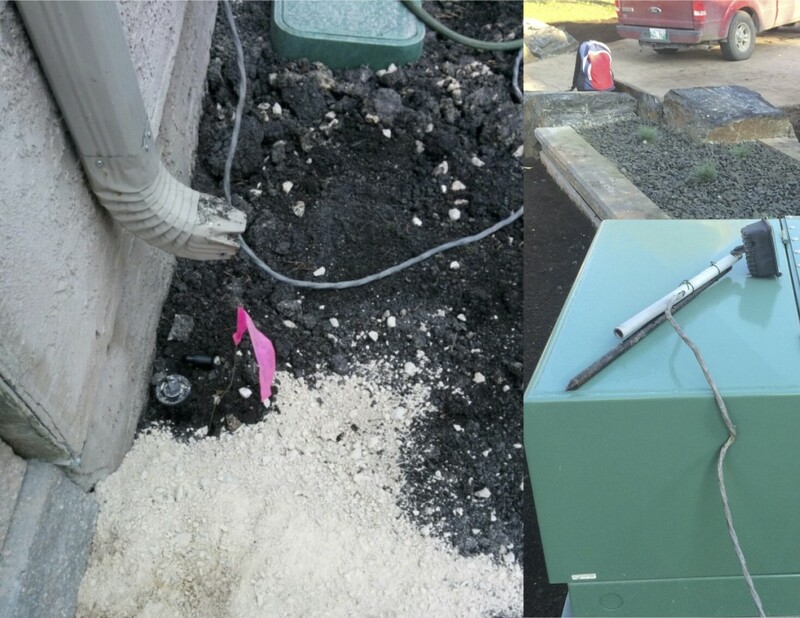 Our utility line locates only provide us with the location of gas and electrical lines servicing the house. 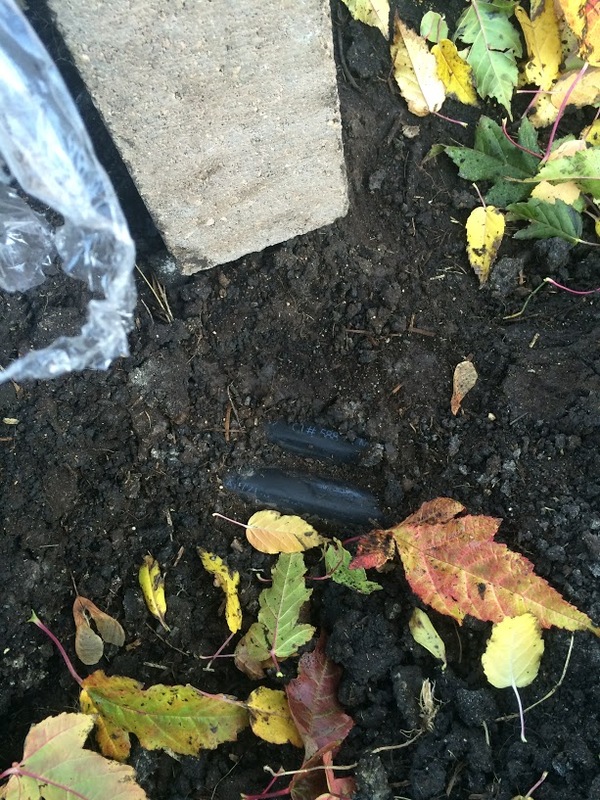 We must rely on our clients to inform us of any other lines buried in their yard. Even though we know where the electrical and gas lines are, that wasn’t enough in this case. When we install underground electrical line we use NMWU underground electrical cable and bury it 18 inches below grade. However, we can’t be sure that work done by other contractors has been done correctly. This wire was hit with a sod cutter just 1 inch below the surface. Luckily, we were aware that an electrical line ran somewhere through our work area and we had turned off the power at the breaker for safety. Found by one of our masons, Dave, during excavation at a project along the banks of the Red River. 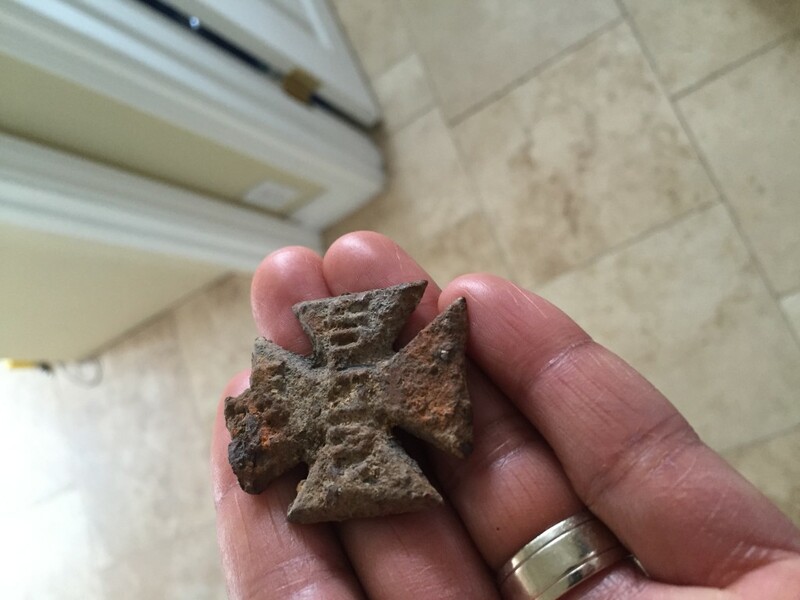 This WWI era Iron Cross was used by the British for propaganda purposes. With both iron and the Iron Cross symbolising purity and chivalry within German culture, it was inevitable that this medal would be selected as a means of ridiculing the enemy. The most common examples, like that illustrated, depict the cross with the words “For Kultur”. Kultur was a concept of German supremacy in the arts and other high ideals of Western civilisation. It was not surprising that the Allied propagandists quickly seized on this and depicted jack-booted madmen striding across Europe, all “For Kultur”. Bibliography: Doyle, P. (2014). Direct from the trenches: The objects that defined the First World War. [online] The Independent. Available at: http://www.independent.co.uk/life-style/history/direct-from-the-trenches-the-objects-that-defined-the-first-world-war-9174995.html [Accessed 13 Jan. 2015].